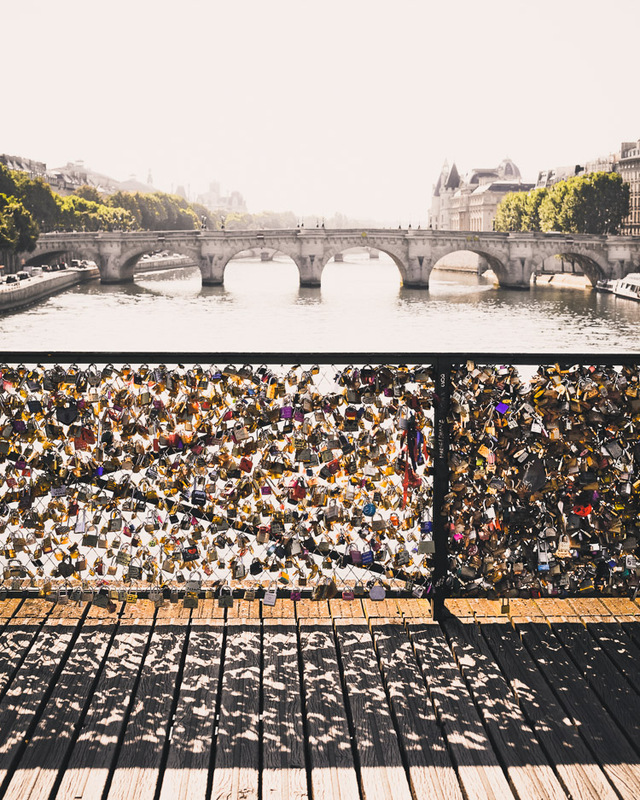 In either case, the Pont des Arts is suffering from the shimmering yet weighty force of love. 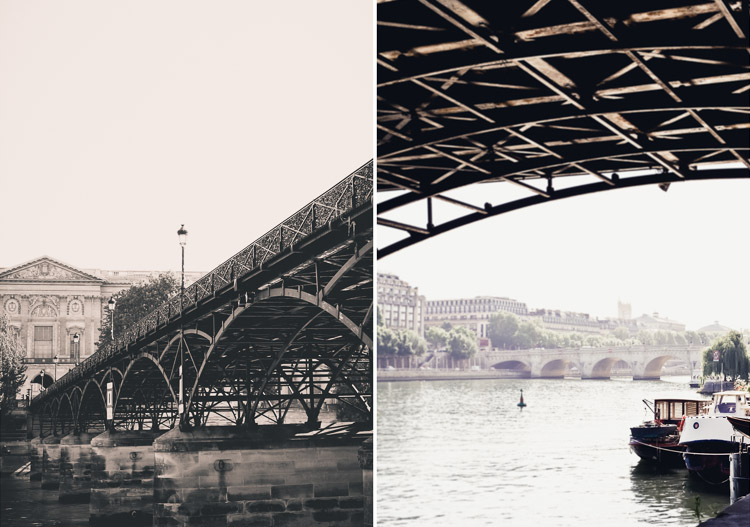 Since its debut in 1804 under Napoleon I, Pont des Arts has had its share of turmoil - bombarded from both World Wars, hits from river traffic and a barge that nearly collapsed half the structure in 1979 (and most recently, a railing that fell this past summer from the massive weight of the locks). The current day Pont des Arts, rebuilt in 1984 from all its damages and deficiencies, is an identical reconstruction of the original design, albeit a few structural changes that make the bridge more sound and more aligned with its neighbor to the east, the Pont Neuf. 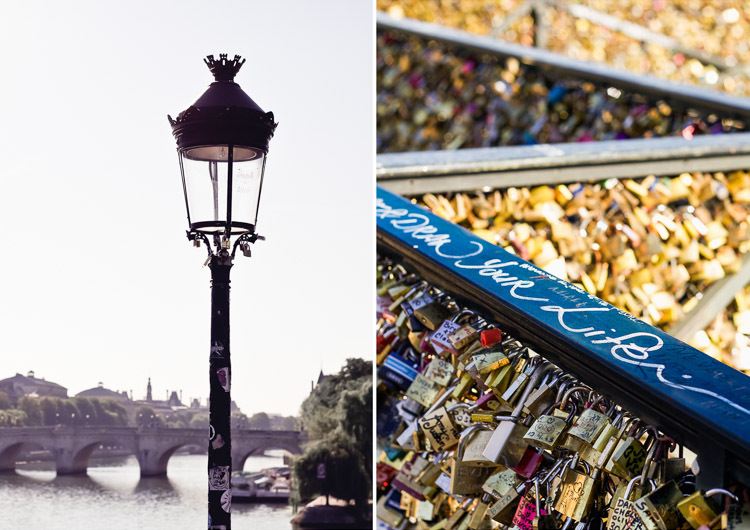 There is now a NoLoveLocks petition to stop romantics from locking their love onto the railings of Pont des Arts as well as other bridges around Paris (along with the Eiffel Tower!). Your photos are beautiful and take me back to my own visit there last spring. 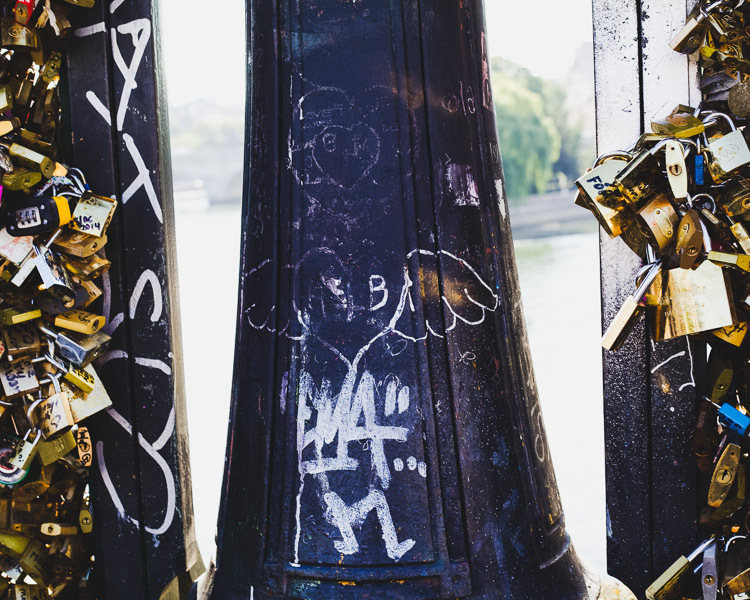 Maybe the locks are also a symbol of the romance and beauty of Paris. I love the first shot with the shadows! 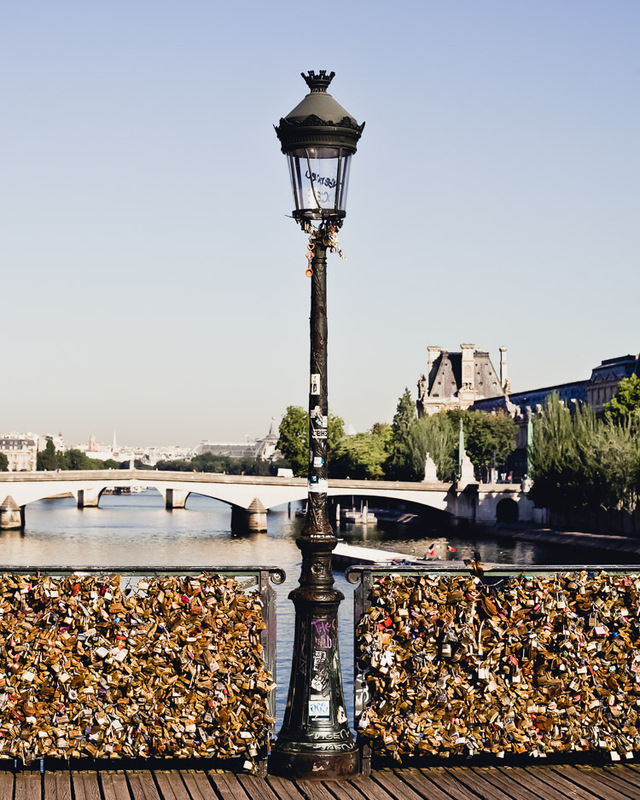 I've been reading a lot about this 'love lock' trend which is posing a serious problem in cities across the world. I like your shadow shot and your black and whites of the bridge. I do see the point of some saying that the locks block the view and after so many, they do get heavy. I have heard of this before but I love the back story. I didn't know that there had been a near collapse but somehow it's not really surprising, is it? Great photos. I've always liked seeing the photos, but the reality of the weight of love is a different story! I've always thought romance should be light and less static than the locks seem to suggest. The fitst time I saw this locks was in New York and I had no idea what they meant! They are neirher pretty nor useful , on the contrary. But they do make wonderful objects to photograph and your pictures are perfect. Beautiful light and shadows. I'm just back from Venice, and they also ask for NoLoveLocks. I totally agree - but when I see your pictures, it's just wonderful. Pretty view and our pictures are great! I didn't know this bridge was that old, I hope they find a way for lovers to keep locking their padlocks without all that damage. Beautiful! I think it would be fun to add a padlock because of tradition, but I wonder if there will come a point where it has to stop. That is an amazing number of locks. And an amazing expression of generations and legions of love! I have such mixed emotions on this issue. I sure can understand why someone would want to add their love to the wall, but it is an eyesore in this beautiful spot. Too bad, it couldn't be put somewhere else where it wouldn't be an issue with the city.